Sailing and Powerboat Training - Full speed ahead! Neptune Sailing's Junior Advanced course has been very popular. The course aims to extend students' existing skills to double-handed craft and they will spend most of their time in our fast RS Feva dinghies. Students will need to have more experience to cope with this course and be able to sail with some confidence. By the end of the week students will have demonstrated that they can cope with a variety of activities including sailing courses efficiently, coming alongside, leaving and returning to shore and righting from capsize. More able students might even get the chance to try the Feva's spinnaker! 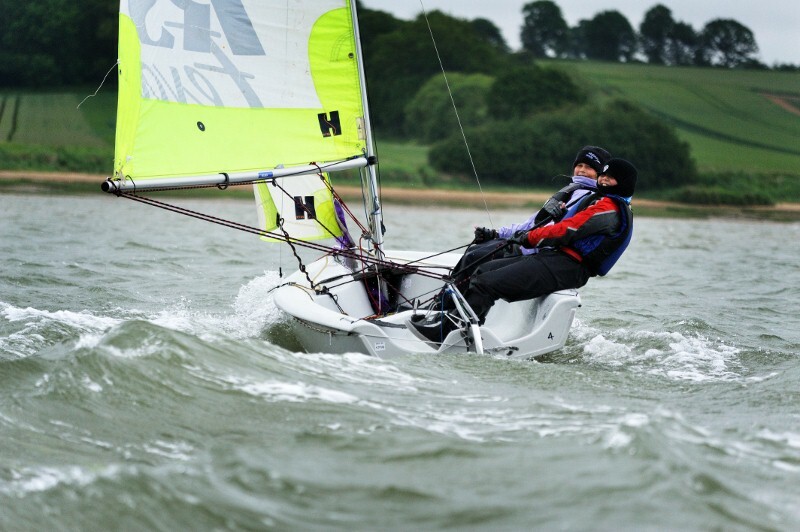 Students with less experience often attend this course to gain more time on the water and the chance to sail a different dinghy. We aim to extend these students and hope to sign off a good portion of the syllabus content.